From Our Customers... We are Listening! We give each customer an opportunity to rate our service with a survey titled “We are Listening…” These come straight to our founder, Vicki D. Jones, and encourage you to write a personal note to her, in addition to the typical customer service questions. She even personally responds to each “Dear Vicki” note. Please read through a few of the “Dear Vicki” notes she receives daily from our customers. Enjoy! You’ll understand more how we will make a positive difference in the way you look and feel about yourself, too. And please know that Vicki will look forward to receiving a “Dear Vicki” note from you, too. Dear Vicki, You guys are so wonderful and I love the WHBaby BellaMa breast pump. I really enjoyed the demonstration on how to use the pump. Ordering on the website was easy and simple and it only took a day to process. I will be recommending you. Thank you guys. Dear Vicki, While going through the most challenging time of my life I was so honored to be served by Betty. Her spirit, kind and loving attitude was awesome. She is very thorough and gives excellent customer service. Dear Vicki, Dana was so sweet, accommodating, and knowledgeable. She knew what I needed before I did. I went in not intending to make a purchase that day, but Dana was so confident, it gave me confidence. Dana was referred to my sister by one of her clients and I am so glad we took her advice to see Dana. Dana had my best interests in mind & I felt it. Dear Vicki, I can’t sing the praise enough of Dana! She is the master of wig fitting and getting you into the perfect wig – She listens! Dear Vicki, Theresa is always courteous and helpful. When some of my compression order did not come in, she ordered it to come to my house. This saved me a trip to town. Dear Vicki, I came in with my mom with doubts. I was blown away with the atmosphere, the stuff, and the service way beyond amazing! Very patient with my mom who is disorganized and couldn’t find her ID/insurance. My mm was so happy when we left; its been hard to find bras. Alma spent time with her and didn’t feel awkward or rushed! Thank you! Thank you for this service offered for my mom What a nice gift of helping women! Dear Vicki, It was a wonderful experience. Maddie is great – The store is beautiful. Dear Vicki, Several of your staff members have helped me. They were all so nice and pleasant. I will most definitely be recommending people to you. Also, when I go back to the vascular doctor, I will be letting them know my experience with Tyler versus WHB, so they will be recommending more patients to you. Dear Vicki, My visit was absolutely wonderful compared to my previous company. I left feeling special and was treated so nicely! Dear Vicki, Ms. Alma is a very good employee. Her Attitude is always great, and she always takes care of a patient in a very respectful way. You all are the best! Dear Vicki, It was like a dream when I walked into your boutique and there was Barbara. You have a good, caring, knowledgeable person. Please keep her with you, not only for my benefit, but others as well. Dear Vicki, Neicey was very professional, knowledgeable, and warm during my visit. Dear Vicki, It was a pleasure meeting Madeline last week to be fitted for my bras. She made the process so easy and comfortable. I felt like I was at home and we've known each other for years. Dear Vicki, You are all very nice when I talk to you about my bras. Thanks. Dear Vicki, Love WHB Longview!! The employees are amazing and so sweet and make me feel so special! 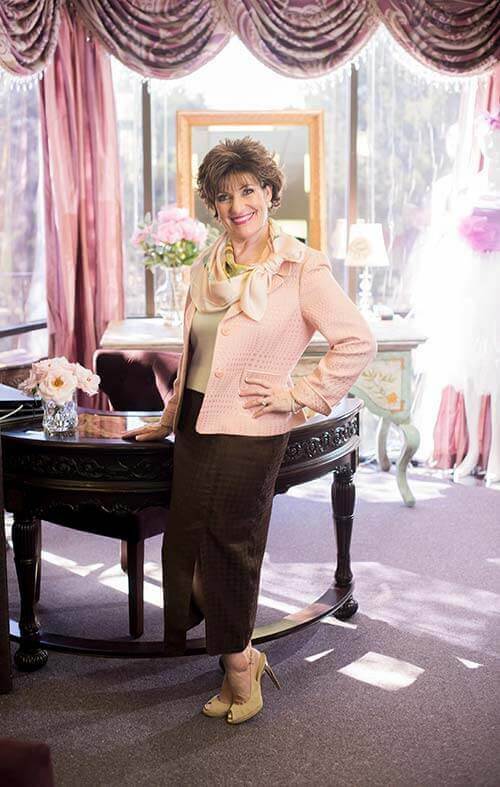 The owner, Vicki has the sweetest soul and you can tell she has a passion for helping women. She helped me tremendously when I needed help with my new breast pump and I wouldn't dream of going anywhere else! I drove all the way in from Katy, TX and it was worth the drive. Highly recommend!!! Dear Vicki, Thank you! Thank you for locating your boutique in Oak Cliff to serve the southern sector! Great Service! Great Staff! Dear Vicki, Your staff and shop are both wonderful. The staff made me and my sister feel very welcomed and comfortable. Your boutique felt very warm and welcoming. Dear Vicki, No doubt you already know what value you have in Dana. She showed us when we went to look and then did even more when we picked up. She is so precious on the inside and out. I probably should have gotten another one, but it will give me time to decide what I like. Highly recommend your store and Dana was the main part of the experience. Dear Vicki, Madeline - awesome lady. She is a wonderful, caring sales person who makes sure you are comfortable and satisfied with the purchase. Dear Vicki, Barbara was very knowledgeable, caring and gracious. She is a perfectionist to ensure the prosthetic fit just right. I am very happy with her service. Dear Vicki, Dana was great. Dear Vicki, Thank you for helping me whenever I call. Dear Vicki, I enjoyed the friendly service and working with me to receive my products. Dear Vicki, Ms. Madeline is a kind, considerate, and attentive to my needs. Always happy, kind, understanding, perfect in all areas. Definitely a keeper. Dear Vicki, Was extremely pleased with the service given to me since I hadn’t ordered in several years. Dear Vicki, Excellent service. People oriented. Felt very comfortable. Outstanding! Dear Vicki, This lady, Barbara Hamilton, and the entire staff exceeded our expectations, their knowledge coupled with a sincere desire to help, was surprising and very impressive. I have not seen this high degree of professionalism in all areas, as demonstrated in your store. My experience was exceptional. I received a very large dose of understanding, empathy, and kindness. I left your store feeling refreshed and so very happy that I had visited your wonderful employees. They are second to none! Dear Vicki, I only have thinning hair due to aging. So I just happen-chanced stopped in. No appointment. Dana was able to help me and was so welcoming! I felt so comfortable. Dana was amazing! She is perfect for helping women and she has such compassion! She is genuine and authentic! I loved her! And I love my wig. Best thing I’ve purchased lately. Dear Vicki, Thank you and your staff, for services provided. I will recommend your facility for future services. Your hospitality was excellent. Dear Vicki, We visited other salons before coming to Women’s Health Boutique. My sister is going through chemo and needed a special place. Dana helped my sister so much. We are very grateful and will continue a long relationship with Dana and your wonderful salon. Thank you so much for being there for us. Dear Vicki, Pleasant shop, friendly workers, even gave me a prayer. Dear Vicki, Everyone is so sweet. Thanks for making a scary situation more doable. Dear Vicki, Just wanted you to know that Jeniva is such a special person that makes her customers feel like a queen. Dear Vicki, Thank you for the pleasure of shopping in your boutique for my healthcare needs. Madeline was delightful- perfect person for hope & kindness to help people with these problems. Dear Vicki, I’m so grateful to meet good people, and Ms. Alma was a sweet, very kind lady. Both ladies were very wonderful. Thank you. Dear Vicki, I had a wonderful experience with Dana in selecting my wig. This is truly one of the most difficult times in my life, and Dana was incredible. She made me comfortable from the start of our meeting. Dana was very knowledgeable, patient, kind, and supportive. My husband and two friends came to my first meeting with Dana and she included them in the selection process, explaining the do’s and don'ts for wig selections. As I said before, she made this experience very pleasant and I look forward to working with her in the future. Dana gets 5 Stars! Dear Vicki, Madeline was so sweet, caring and helpful. I felt very blessed to know her. Dear Vicki, My experience was exceptional. Everyone was so helpful, encouraging, and delightful! Dear Vicki, Your level of service is impressive. Everyone is always friendly, courteous, knowledgeable, and accommodating. Dear Vicki, Very pleasant area to try on bras and the people were very nice. Dear Vicki, The person who helped me was so helpful and sweet. I would definitely use her help in the future!!! Dear Vicki, I am so glad that you are there. You understand what I need and how I feel. Everyone is super, super nice. Dear Vicki, Dana was wonderful! Dear Vicki, It was a tough decision to cut my hair off. I was very nervous, but Dana made it so easy that I was confident to walk out with. She is a blessing. It’s not the matter of how you cut the hair and wig. It’s the way she does it. Dear Vicki, Thanks for everything. Phone service at the time was wonderful for me. Dear Vicki, Staff was very helpful and courteous, felt right at home. Dear Vicki, After my mastectomy I went to a place near my home. The fit I got was terrible! When I went to this Women’s Health Boutique, what a difference!! Madeline is so knowledgeable, and she really fit me in a great bra and prosthesis. She really cares about her clients and takes the time to explain everything she does and how to care for the products. Dear Vicki, I thoroughly enjoyed working with Barbara, she was very professional, great personality-made extra efforts for a complete fit. Thanks so much! Dear Vicki, Alma is wonderful. She makes you feel comfortable and welcome. Please keep Alma on your work team. Alma is a pleasure to work with. Dear Vicki, Barbara was extremely knowledgeable and very helpful! Dear Vicki, Went in for lymphedema compression garments. Great service. Very friendly and they explained things. Dear Vicki, Dana made both my visits a great experience. I was not looking forward to coming in. I will highly recommend your services and tell UT staff. Dear Vicki, The ladies at the Oak Cliff boutique location made my life so much better. Their kindness and concern helped correct a problem I have had since 1997! They were very generous and I appreciated it! Dear Vicki, Everyone at Longview was very courteous and very helpful. Theresa showed us how to put the hose on easily so it would not hurt my wound. Also helped my wife with new bras. Neither my wife or I knew she was eligible for bras. She is also a cancer survivor going on 7 years. Thank you for the service and help. Dear Vicki, I always go to this store and they are always very helpful and kind. I really recommend this boutique. Dear Vicki, The service was great. I was made to feel very comfortable! I would recommend Women’s Health Boutique highly for anyone that has had a mastectomy! Dear Vicki, Thanks for all the help that Barbara gave me and how she helped me pick out what I needed. She was wonderful. Thanks again. Dear Vicki, Everyone was exceptional! Dear Vicki, Dana did a wonderful job of explaining my wig options and putting me at ease regarding my current chemo hair situation. Her personal experience made my decisions so much easier. Dear Vicki, Dana was amazing!! She is so calm and caring. She listened to me - but she already knew what I needed! I will absolutely recommend your store! Thanks! Mrs. Jones, I want to thank you and your wonderful staff for all your work in getting me a breast pump! I am so appreciative that you were able to work with my insurance company to pay for it. The pump was very high quality, great suction, helpful options, comfortable, and was delivered so quickly! Thank you so much for making this possible and benefiting my precious new baby! Dearest Vicki, I am so thankful for your marvelous business. I live in the San Antonio area, but have never encountered anything like you have created! We miss you and Longview. Dear Vicki, Barbara was very friendly, informative and caring. She gave good advice without being pushy. Dear Vicki, Your staff is always courteous and efficient. It is always a pleasure to place an order. Dear Vicki, Once again I had a positive experience at your boutique. Being fitted is always a dreadful time exposing scars from two separate mastectomies. However, your fitters make you feel very comfortable and less self-conscious. Betty is very kind and helpful. The boutiques are so pretty and cozy. Thank you for making it a pleasant environment and a place where you truly feel cared for! Dear Vicki, Dana is amazing. She was so knowledgeable and thoughtful. I had a bad experience (at another location) and she totally made up for that experience. She is caring and sweet! Dear Vicki, Theresa was the last and first person I talked to. She helped me from start to finish, even with a follow-up question. Dear Vicki, My husband discovered this amazing boutique…I just followed his lead. Now I am a true fan & think that Madeline and Jeniva are fabulous. Dear Vicki, Wonderful experience! Dana is very knowledgeable & spends time finding the perfect wig and correct color for her customers. Dear Vicki, Alma, my sales person, was very accommodating and knowledgeable in the products I purchased. Knowledgeable regarding billing my insurance company. Dear Vicki, I was very pleased with all of the women who helped me. They did not rush me. They helped me a lot with decision making. Dear Vicki, These ladies consistently went above & beyond their jobs to help make dealing with breast cancer less scary, frustrating, & helped boost my self-confidence. They gave extra time to address concerns & even made personal connections. Thank you. Dear Vicki, Madeline is one of the most helpful, compassionate, and loving person I’ve ever met. She has help me through my journey with cancer. She tries so hard to make me feel good. Dear Vicki, Very professional and prompt. Dear Vicki, In the last ten years since my surgery I have never been treated so awesome. I was treated like someone cared about me. Dear Vicki, We were very pleased with the service given to my 91 year-old mother. Dear Vicki, Madeline is a true treasure, so very lovely, patient, compassionate and the best person you have ever been lucky enough to have. I truly love this woman. Dear Vicki, I’m amazed at the diligence Barbara used to help me get super products that I needed. Dear Vicki, I truly enjoyed the service I received from Barbara. She is such a nice lady. She gives her heart to the person she served. Dear Vicki, Dana put me at ease about wearing a wig. Since she wears a wig herself she knows all the tricks to make wearing a wig simple. She is very sweet! Dear Vicki, Service was great! No waiting period. Barbara Hamilton, my fitter, was fantastic. She helped me with all the new products and was very courteous. High recommendations! Dear Vicki, Great location! Dana was amazing. She was knowledgeable about wigs! Dana shaved my hair as it was falling out from chemo. Love her. I will definitely shop with you again because of Dana. Dear Vicki, It was a real pleasure working with Ms. Barbara. She was friendly, pleasant, and a joy to work with. She took real good care of me. She even handles my insurance. Dear Vicki, How wonderful it was to have a live person answer my phone call instead of a recorded menu saying, ‘I’m sorry I didn’t get that’. Dear Vicki, I have been to the boutique 5 or 6 times now. Each time the service was excellent. Thank you for such caring sales ladies.